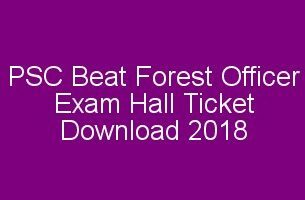 PSC Peon Attender/ LGS Exam 2019 Hall Ticket / Admit card, PSC Peon, Peon Attender/ Last Grade Exam Hall Ticket Confirmation, PSC Peon Attender/ Last Grade Servant Exam 9.02.2019 Admission ticket, Peon Attender/ LGS Exam Syllabus, PSC Peon Attender/ LGS Exam hall ticket download. Kerala PSC Peon/ Peon Attender/ LGS Exam scheduled to be held on February 9th, 2019 (9-02-2019). The exam will be conducted by PSC for recruitment to the post of Peon Attender (Kerala State Co-Operative Bank) / LGS (Ex-Servicemen Only). All applied candidates must submit their confirmation for writing this examination through PSC one time registration profile from 23/11/2018 to 12/12/2018. Candidates who fail to submit their confirmation on or before the specified date cannot be downloaded the admission ticket from profile page and their application will be rejected by PSC. The candidates who are applied for PSC Peon Attender/ LGS Exam (cat: 337/2016, 338/2016, 385/2017) on 09-2-2019 should have to confirm their hall ticket through their PSC profile page. The candidates who have submitted their confirmation through the “Generate Button” in the profile page can only download the Hall ticket from 25.1.2019. 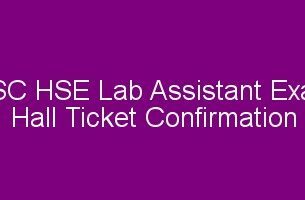 The last date for submitting the confirmation is 12/12/2018. The hallticket can be downloaded from January 25th, 2019.